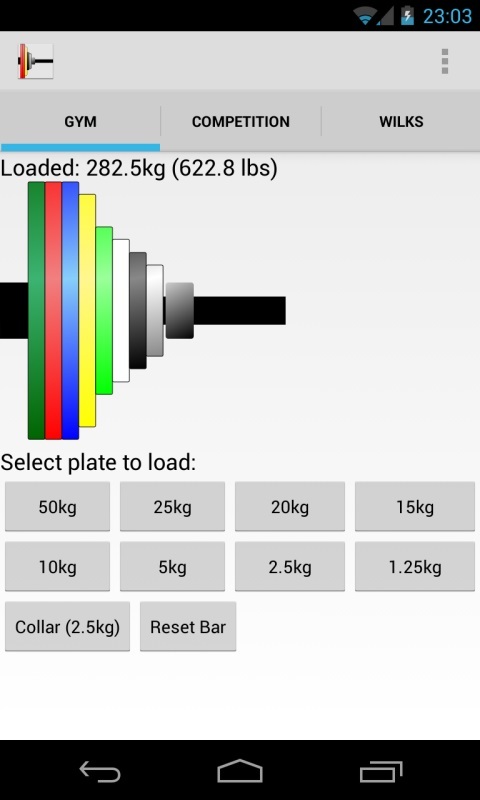 A simple application to help in the correct loading of a powerlifting or weightlifting bar, in competitions or in the gym. 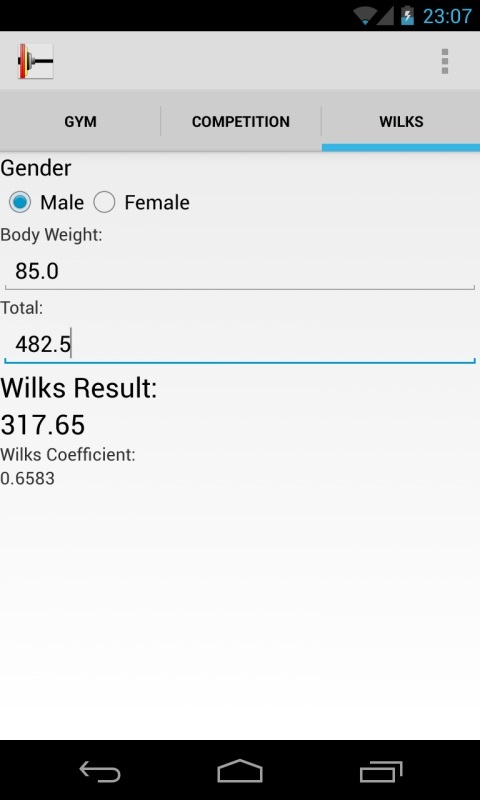 Gym mode: Allows the user to load the bar with any weight so totals can be accurately calculated. Weights can be removed from the bar by touching them and sliding them off the end of the bar. 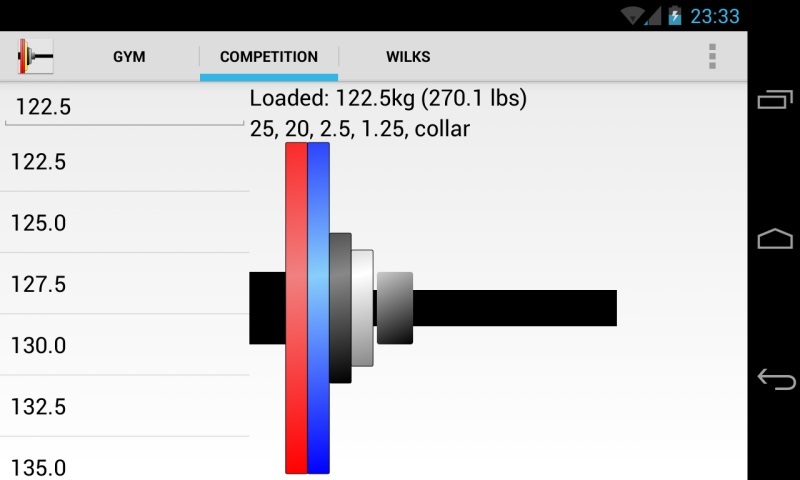 Weights can be reordered by sliding them up and down the bar. 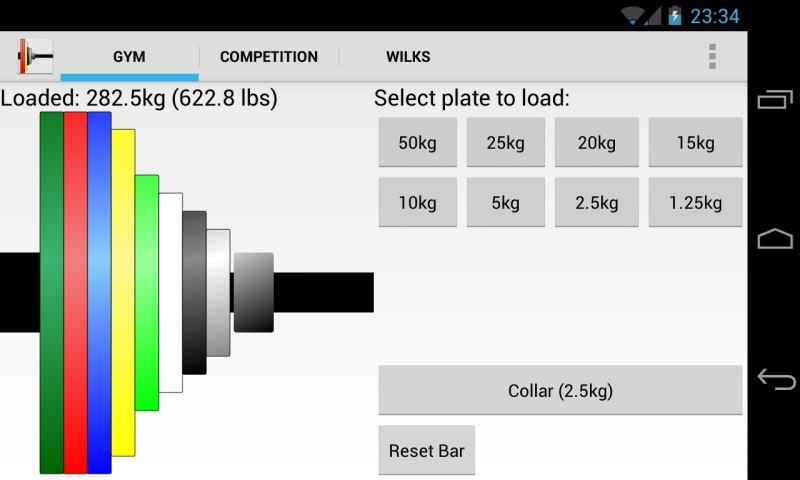 Competition mode: Will show the correct way to load a bar for a competition form the weight value selected from the list of entered from the keyboard. 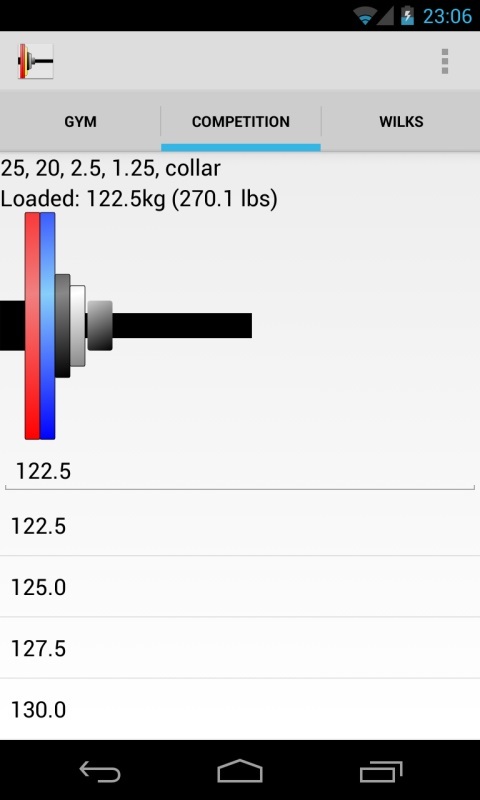 Settings allow the setting of different bar weights (15, 20, 25 and 30kg). 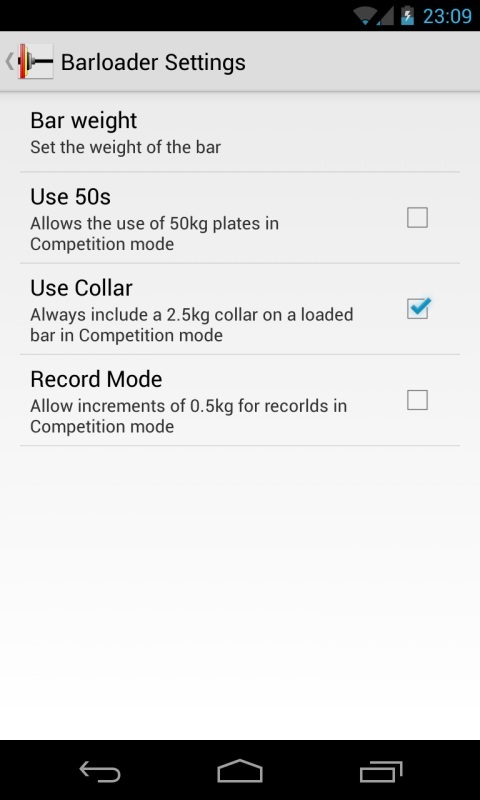 The use of 50kg weights, collars and weights below 1.25kg for record attempts, in competition mode.